​​We are looking for an enthusiastic and energetic team to be a part of the excitement of Vul-Con 2018! We couldn't possibly put on an event of this caliber without the hard work of our many volunteers! Thank you!! Please fill out and send us the Volunteer Application. ​Please put " Volunteer" in the subject line. 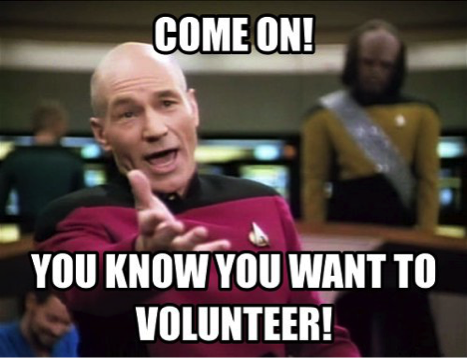 Also, please specify how many hours you wish to volunteer (4, 8, 12 or 16).